QUIZ: How Much Do You Know About The World's Girls? #15Girls : Goats and Soda Do the world's mothers give birth to more boys than girls — or vice versa? What country has the top percentage of women in political power? Test your knowledge on the state of the world's girls. Who's ahead in the baby tally these days — boys or girls? 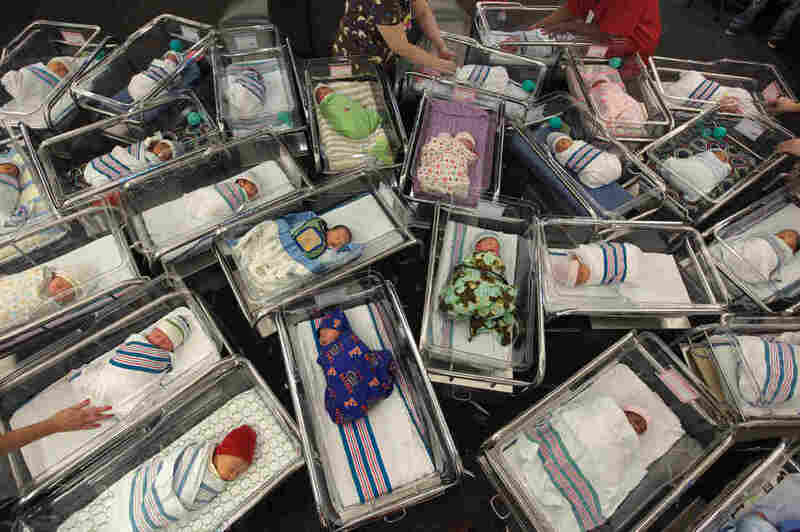 Newborns are ready to be counted in a Florida hospital. Girls just wanna get ahead. But society won't always let them. This story is part of our #15Girls series, profiling teens around the world. In different parts of the world, girls might not be able to go to school, hold a political position — or even be born. How much do you know about the state of the world's girls? Take this quiz, which highlights the latest stats from the World Bank, the U.N. and more, to find out. Hint: All the answers can be found in a story we posted this week, "Where The Girls Are (And Aren't)." Bummed out by these bleak figures? Read stories of teenage girls who are finding ways to fight back to change their fates — like Madalistso from Zambia, who is using negotiation skills to stay in school, and Hadia in Afghanistan, who thinks it's cool to be the smart girl. Being a 15-year-old girl can be tough no matter where you live. Tell us: What was the hardest thing about being 15? Post a photo of yourself as a teen with your answer on Twitter or Instagram, and tag your post with #15Girls and @NPR. More details here.